The brand new 2018 Toyota Camry is the best-selling car in North America for a reason. With a bold, modern new design and an aggressive front-end the 2018 Camry is the best looking model yet. Featuring an intuitively designed interior with the latest technology and room to spare the Toyota Camry stands out from its competition. Drive in style and comfort with the latest safety features for you and your passengers. To get where you’re going you rely on what’s under the hood and the new Camry has you covered. Camry comes standard with a powerful 178-horsepower 2.5-litre, 16-valve engine, yet achieves excellent highway fuel efficiency with a rating of 9.4 L/100km. The 3.5-litre V6 option produces an exhilarating 268 horsepower for a more engaging, sporty drive. Modern technology is featured under the hood with the 200 horsepower hybrid engine; striking the perfect balance between efficiency and power. Camry is a top performer in crash tests and boasts a long list of active safety options. Lane departure alert and blind-spot monitors help keep you safe even while traffic conditions change around you. Rear cross-traffic alert and a pre-collision system with auto high beams are available to make your Camry as safe as possible. Every single Camry comes standard with 10 air bags and the Star Safety System™ to keep you and your most precious cargo secure and comfortable no matter where your travels take you. With an iconic design that is smooth and continuous, the 2018 Camry appears as if it’s crafted from a single sheet of metal. 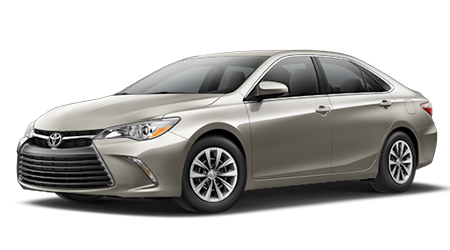 With its forward stance and aggressive grille, Camry has curb appeal and then some. 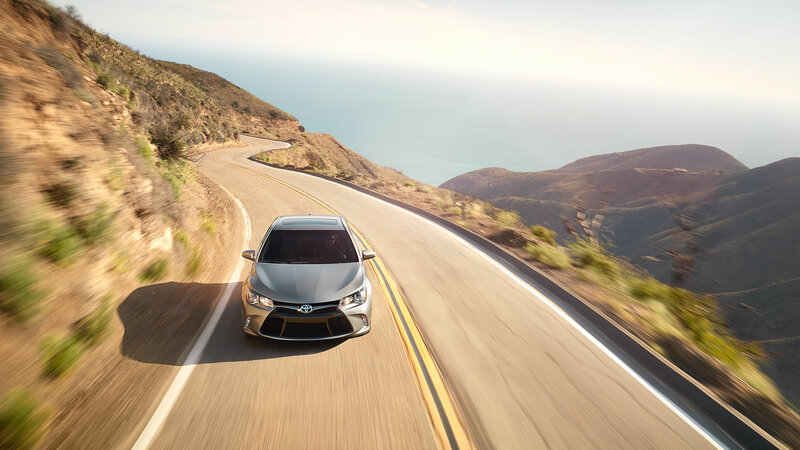 Camry’s low and wide stance gives it an edgy and athletic look, while the aero stabilizing fins contribute to the handling stability while driving. 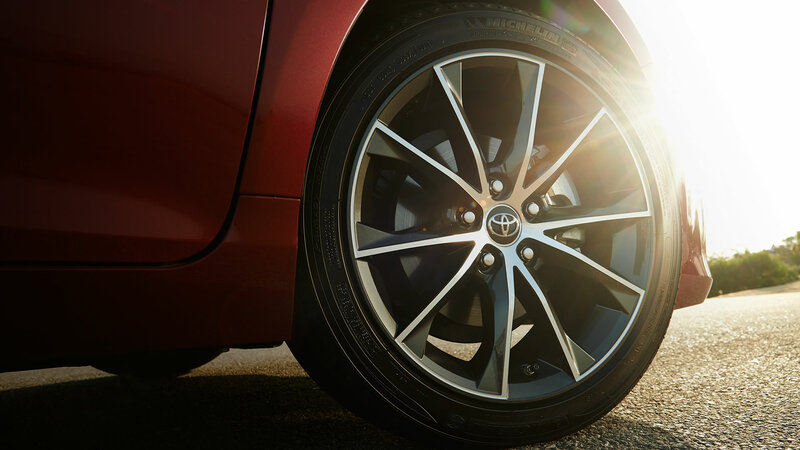 Looking good on the streets is easy with Camry’s sleek wheel designs, available in 16” (LE), 17” (SE, XLE, XLE V6), and 18” (XSE, XSE V6). No matter where the road takes you, you’ll always get there in style. Take a seat inside to experience some of the very best of 2018 Camry. We have all the latest available tech to give you the most connected driving experience. 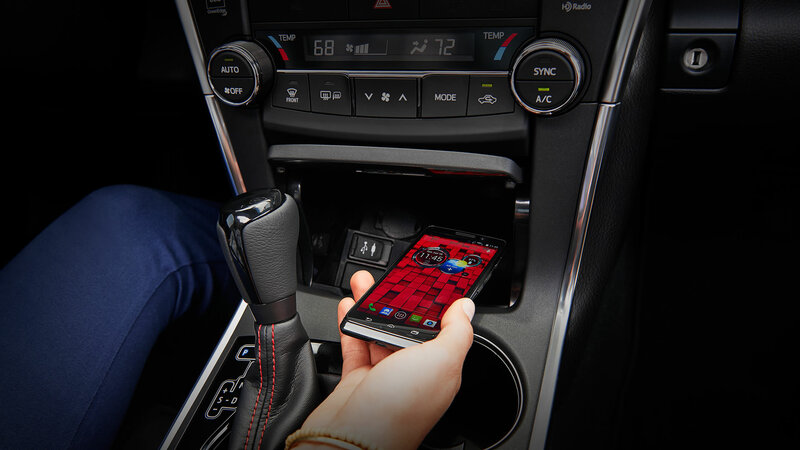 An in-console wireless charging system is standard on XLE and XLE V6 allowing you to charge your compatible smart device by just placing it on the non-slip surface of the Qi wireless charging pad. That’s it. No wires needed! Standard on Camry LE is the TFT multi information display. Both LE and SE come equipped with Toyota’s 6.1” display audio system, and a 7” monitor is included on XLE and XSE. Premium navigation is added for XLE V6 and XSE V6 models. With standard USB connection and Bluetooth® capability you can listen to your favourite tunes and remain connected, hands-free, to the outside world. The 2018 Toyota Camry is a bold, modern mid-sized sedan with an affordable starting price of just $24,970. The number of standard features and flexible options makes it easy to see why the Camry is the best-selling car in North America. Come down to experience one for yourself and have a test drive at Sherwood Park Toyota, located at 31 Automall Rd, Sherwood Park, AB T8H 0C7 or contact our expert Sales Staff by phone at (780) 410-2455.